Ubisoft has released a new patch update Y4S1.3 for Rainbow Six Siege on PC, PS4 and Xbox One. 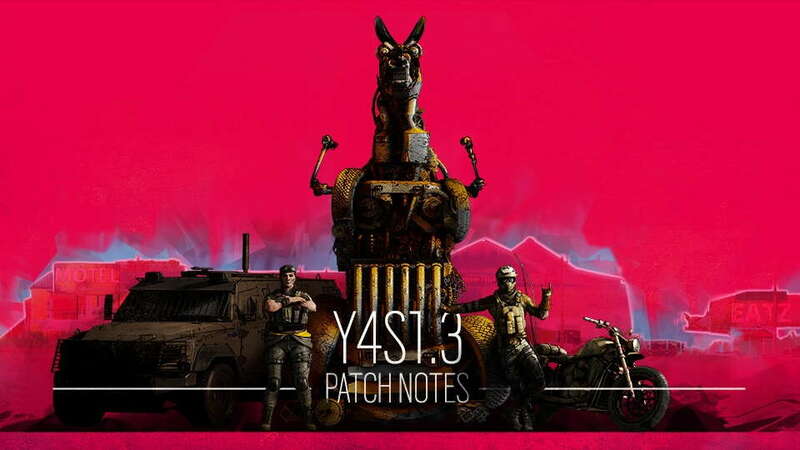 The latest Y4S1.3 update for Rainbow Six Siege as its most notable features adds several balancing changes including Lion rework, Capitao V2 and a number of other balancing changes. The latest Rainbow Six Siege update also brings various bug fixes to the game including the fix for Sound propagation issues through destroyed walls. Notably, the Lion rework ability comes as the most requested feature in the game. The ability was detailed in Ubisoft’s last week’s latest designer notes and it “aimed at reducing the oppressive feeling of Lion ability while maintaining his intel-gathering role”. The update now reduced the ability warning to 1.5 seconds (from 3 seconds). A summarised version of the latest Rainbow Six Siege Patch Notes for Update Y4S1.3 for PC, PS4 and Xbox One can be found below. Sound propagation issues through destroyed walls. Sound should now move through destroyed walls more clearly. This fix is currently still in progress as we work our way through the remaining walls where the issue is still present. Pressing the Home button in a custom online match on PC/XBOX while using a controller kicks the player out of their own lobby. Squads are forced out in custom online lobbies when one member leaves. Inviting a squad member already in a custom lobby forces players out of the lobby and breaks invites from leader. For full update changelog and patch notes, you can head over to the official release note here.